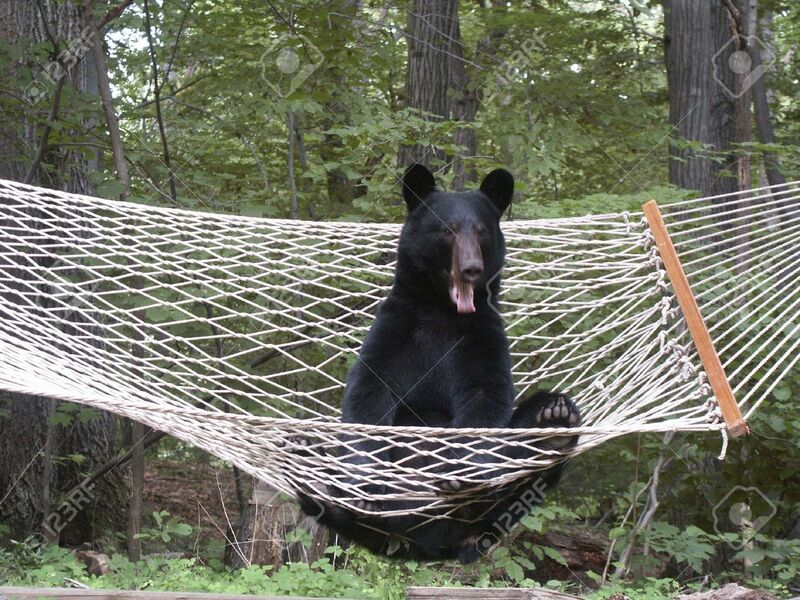 Hey, you lazy Maine black bears- Guvnah says it’s time to get outta the hammock and get a job! Yeah, YOU there! 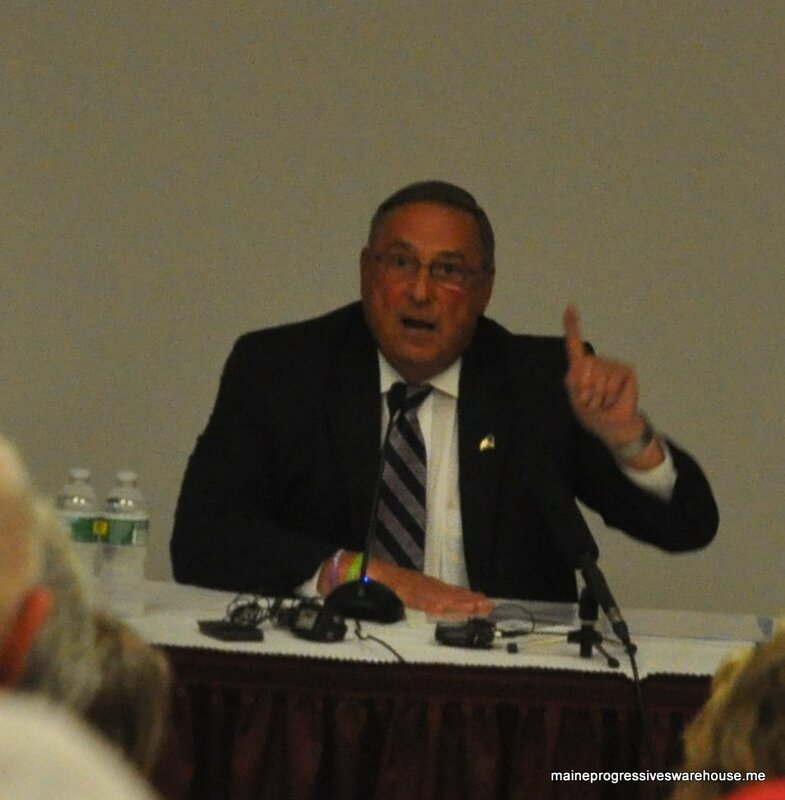 The first question asked of Governor Paul LePage last night directly took on the administration, in regards to the 150 day wait for those seeking asylum in order to be allowed to work. This has been a huge battle between LePage, DHHS and the Cities of Portland and Westbrook for quite awhile now over funding with ongoing litigation. 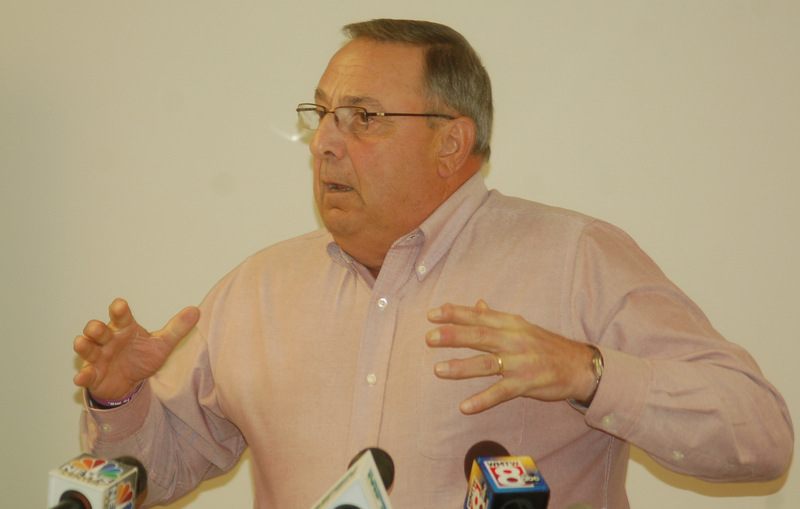 Other Republicans in Maine have been very vocal in their views of those who come to Maine seeking asylum, most notably Lewiston Mayor Bob MacDonald. 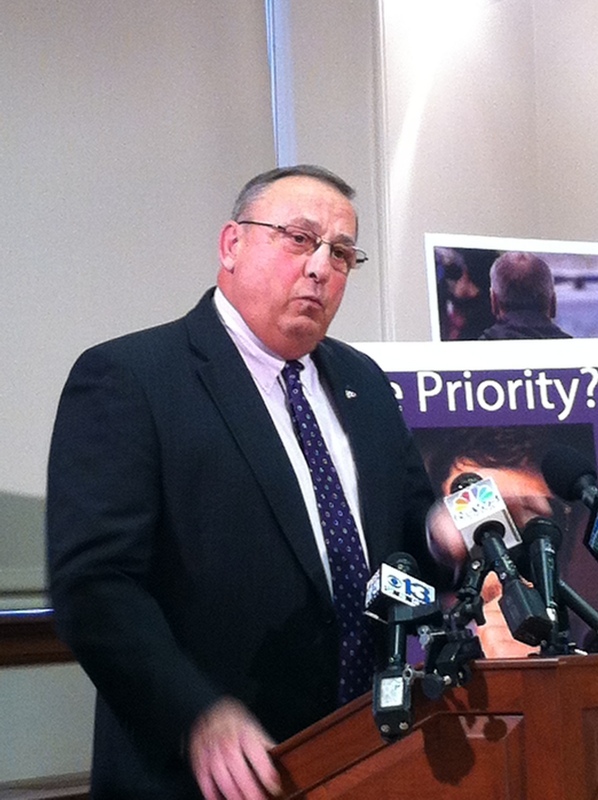 This last night seems on the surface via LePage’s wording to be a reversal of his previous views on refugees. 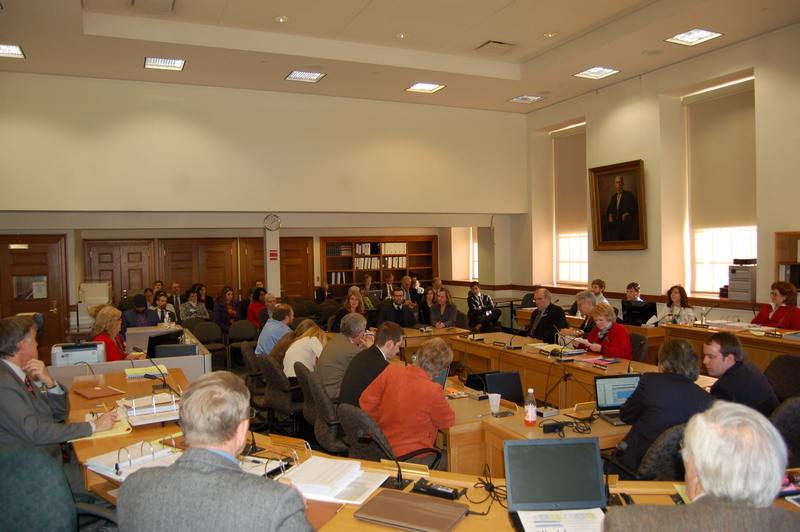 Public hearing before the Appropriations and Financial Affairs Committee and the Health and Human Services Committee regarding LR 1852 (Governor LePage’s proposed FY 2016-17 biennial budget), recorded 3/6/15. The entire press conference here, in order of speakers. DAFS Commissioner Richard Rosen will be presenting the budget to the Appropriations and Financial Affairs Committee later today. On Thursday, Cathy Breen (D-Cumberland) was finally sworn in to represent Senate District 25, a full month later than her colleagues, due to the recent recount snafu. 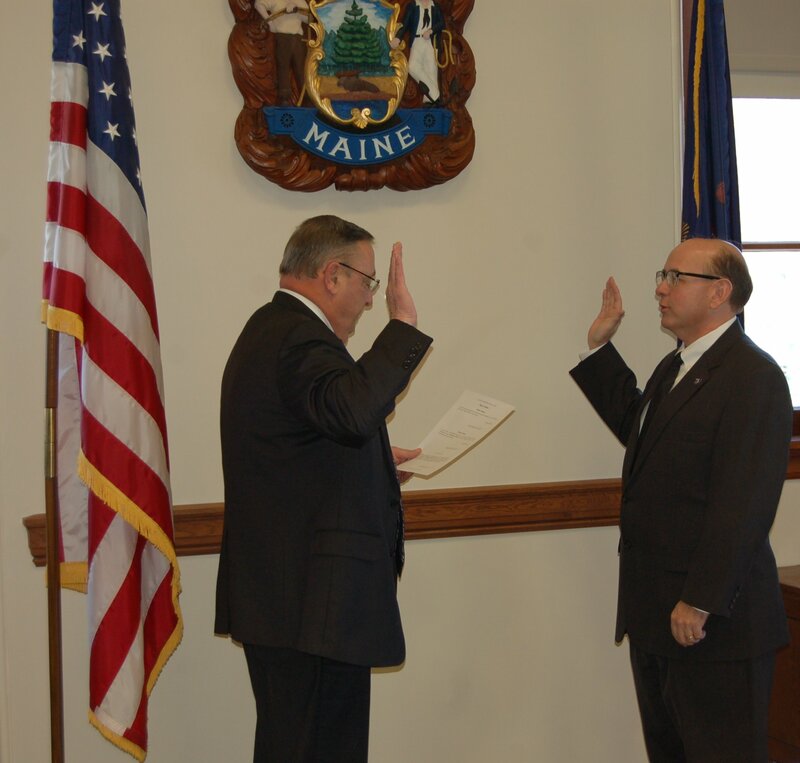 Governor Paul LePage administered the oath of office in his chambers. State Senator Cathy Breen (D-Cumberland) is welcomed by Senate after taking oath of office. While this is not unusual practice, what happened later that day most definitely was. 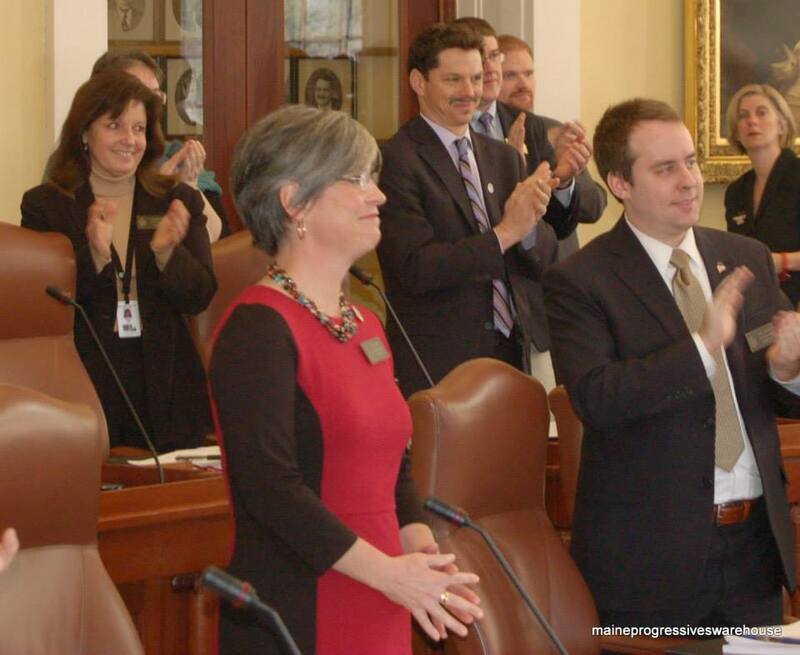 In an unprecedented move, Maine’s three constitutional officers Secretary of State Matthew Dunlap, Treasurer Terry Hayes and Attorney General Janet T. Mills were informed that by the governor’s request, they would not be sworn into office publicly in the House of Representatives- but rather that LePage would administer their oaths privately in his chambers. All three had served as Democratic legislators with Hayes serving as House Minority Whip in the 125th Legislature. While Dunlap and Mills still are Democrats, Hayes last year declared herself as an Independent while working as field director for Eliot Cutler’s gubernatorial campaign. This marks Dunlap’s second consecutive term in the office, as he previously served three terms from 2005-10 and returned for the 2013-14 term. Mills, Maine’s first female Attorney General, served from 2008-10 and again from 2012-4. Terry Hayes was nominated by Republicans Senator Tom Saviello and former Speaker of the House Rep. Bob Nutting when she defeated incumbent Democrat Treasurer Neria Douglass in December. She ran unsuccessfully for House Speaker against Mark Eves in 2012. This is her first term as Treasurer and she made a special request of the governor for a public ceremony, as she had invited over 60 family members, friends and former legislative colleagues to witness her swearing in. Governor Paul LePage administers the Oath of Office to Secretary of State Matt Dunlap privately in the governor’s Cabinet Room. On Thursday afternoon, Dunlap and Mills were escorted separately into the governor’s Cabinet Room along with members of their staff, family and a handful of state senators to witness the quick ceremonies behind closed doors. Neither the public nor the press were allowed to witness, although this reporter did manage to obtain a photo of Secretary of State Dunlap’s swearing in by quickly passing a camera to a willing party as they went through the door. Once both were sworn in, Governor LePage met with Hayes and her husband Stephen in the Hall of Flags and spoke for a few moments privately. Before a large crowd of invited guests including former legislators of all political stripes, he administered the oath of office publicly, congratulated her, waved to the crowd of witnesses and returned to his office. 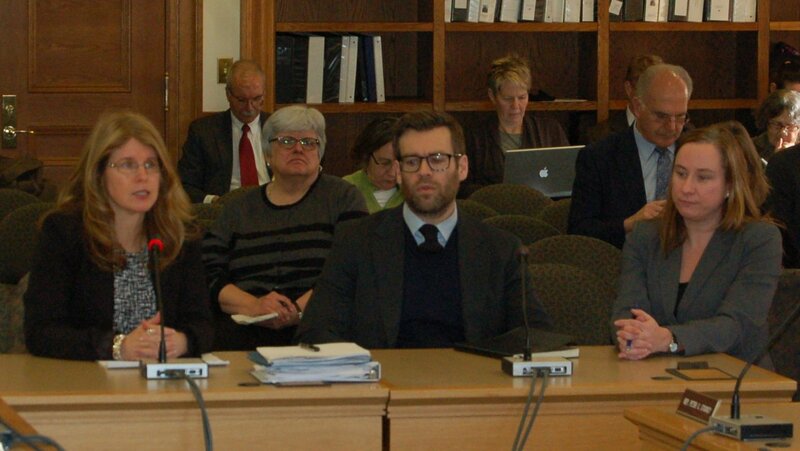 Also this week, DHHS head Mary Mayhew stated that the federal government’s battle with the LePage administration over photos on EBT cards could lead to her department’s “questioning their ability to administrate the SNAP program”. Let that sink in: Mayhew, considered to be mulling a future Blaine House run herself, is willing to deny 249,000 Maine families their federally allowed food assistance. But back to the private/ public oath of office brouhaha. 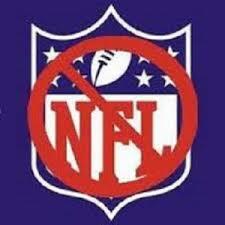 The governor and his office have refused to comment on the matter at all. One anticipates this phrase will be repeated many times over the next four years.